A home lender requires private mortgage insurance (PMI) if the loan-to-value (LTV) is greater than 80 percent of the home’s value or the purchase price, whichever is less. Loan-to-value, LTV, is a ratio representing the amount of financing requested versus the value of the property. If you put 10 percent down on your home, your LTV ratio is 90 percent. If you don’t put down a minimum of 20 percent, you must pay PMI. 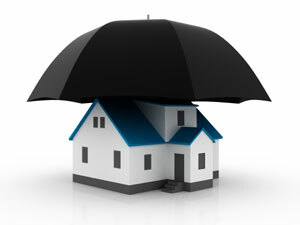 The lender gets the insurance on your behalf, but you will pay it monthly. PMI can be removed but it does require effort on your part – it won’t go away by itself. The ARM carries greater risks to the uninformed consumer (e.g. pre-payment penalties) so make sure you fully understand all the restrictions and possible penalties associated with the ARM. PMI insures the lender in case the borrower defaults on the loan and there is not enough money from the foreclosure sale to pay off the rest of the loan. Loan-to-value – the higher the LTV, the higher the PMI payment will be. FICO score (credit score) – The higher the FICO score, the lower the PMI will be. Purchase vs. Refinance – Refinances carry more risk if equity is taken out of the home. Owner occupied vs. second home – Owner occupied homes carry less risk. Single family home vs. two to four units – Single family homes carry less risk than two to four units. Fixed rate loan vs. adjustable rate loan – Fixed rate loans carry less risk than adjustable rate loans. Condo vs. co-op – Condos carry less risk than co-ops. The amount of PMI is calculated from a matrix chart that all PMI companies and all banks use. You should receive an estimate for PMI costs prior to closing. The PMI amount is added into the home loan’s monthly expense when the lender qualifies your for the monthly payment. NOTE: PMI is now tax deductible.